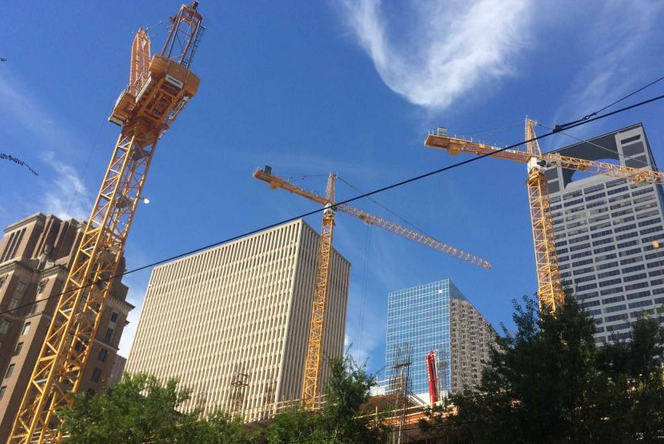 As we batten down the hatches for winter after a so-so summer, construction industry employees can be warmed by the news that American construction firms had a very good September. Data indicates that both projects and hires within the industry saw a 16% percent increase over figures from September 2014. This translates to 8,000 new construction industry jobs added in September alone. September's data also signifies the sixth consecutive month of industry job growth, making this the industry's best year since 2009. A spike in new residential construction in many parts of the country as well as warm, dry, late summer weather are credited for this September bounty. This news was mirrored in the United Kingdom, which also saw its best September growth in about a year. As in the United States, nice weather and many new residential projects were credited with the improvement in numbers over last year. If you're a British civil engineer, you're probably pretty popular within the U.K. construction agency these days, while in the U.S., firms are clamoring for the services of project managers, general laborers, and electricians. Like the United States, Great Britain is currently experiencing a shortage of skilled construction site workers, even as things continue to improve within the industry. And the hot spots where firms need workers for projects in the United States are Houston, TX, New York City, NY, Atlanta, GA, and Chicago, IL. In addition to Manhattan and its boroughs, Long Island, NY has seen a huge surge in construction projects, mainly in the creation of new multi-family residences. Construction workers are currently the single highest paid sector of employees on Long Island, surpassing even those who work in the still shaky financial industry. However, construction industry growth was stagnant in other parts of the country, most notably in Mid-Atlantic and New England states. Employment in the construction industry is down in parts of the Mid-West as well, largely due to the now uncertain fortunes of the natural gas industry. Final official construction industry figures won't be tallied until November, but they're expected to reflect these earlier reports. Will October 2015 fare as well as September? Weather, especially as we head into hurricane season in the eastern part of the country and a nervous global economy may be factors. But construction employment statistics experts expect numbers to at least remain stable as we approach the end of the year. They don't feel there will be any changes in the types of projects, with residential housing, hotels, heavy construction, and renovation projects leading the way.